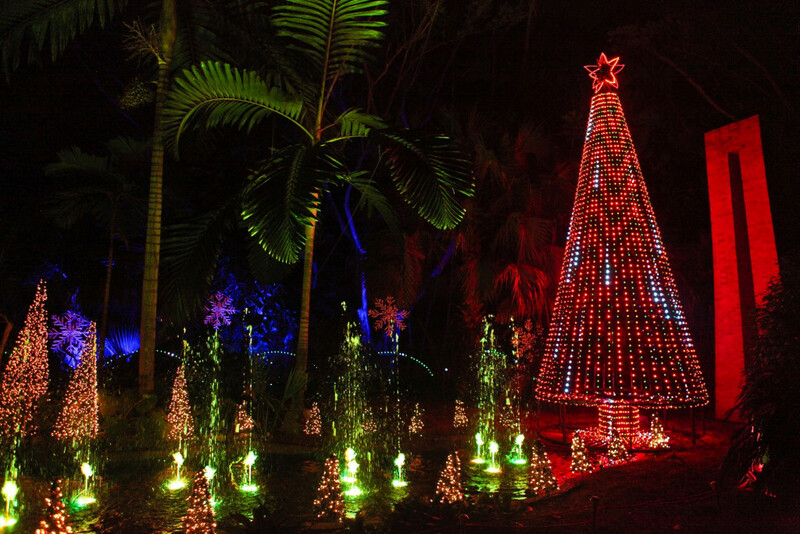 Strolling through the serenity of the Ann Norton Sculpture Gardens, peopled with the artist’s monumental, anthropomorphic brick figures nestled between Barcelona Street and South Flagler Drive, I came upon the gardens’ annual Christmas gift, The Festival of Trees. I chatted with designer Mona de Sayve, who had created a space-themed tree, painted black by muralist Anthony Hernandez to suggest the infiniteness of the holiday and dressed with mixed space shuttles and galactic spheres she said were not quite planets, but had promise — kind of like Pluto, which was, then wasn’t, then was again. It’s hard to keep up in space. At the far-left corner of the main garden space was a cornucopia of Christmas, where “elves” Hernando Pizzaro, Sonia Gearhard and Faby Barreto of Palm Beach’s Sweet Arrangements were tapping in a miniature white picket fence and putting finishing touches on a treeful of travel destination emblems sponsored by Sentient Jet, and a glossy red Mercedes 230XL which I would like as a stocking stuffer, if anybody is listening. As I wandered through the gardens, I came upon a Tiki tree, a wonderful De Stijl representation of the essence of tree in Mondrian colors and what seemed to me to be a post-modern manger draped in white. Festival of Trees designers include Gail Barba, Natalie Barrett, Sarah Benitz, Roger G. Chew, Kevin Clark, Margaret Costello, the aforementioned de Sayve, Timothy Dolley, Cooky Donaldson, Susan Fagan, Jenny Garrigues, Melissa and Noe Guerra, Jenifer Guffey, Margaret Kaywell, Miriam Kiiski, Rhonda Klein, Isolde Koester, Debora Maale, the aforementioned Mooney and Pizzaro, Maggie Poetz, Joseph Pubiliones, Allan Reyes, Scott Robertson, Juan Salgueiro, Katherine Shenaman, Julie Silk-Beaumont, Melody Smith, Catherine Stewart and Angela Wood. Sentient Jet is the presenting sponsor along with other local businesses. Honorary Chair is K.C. Pickett and co-chairs are Sarah Benitz and Regan Rupp. Design chair is Jennifer Garrigues. 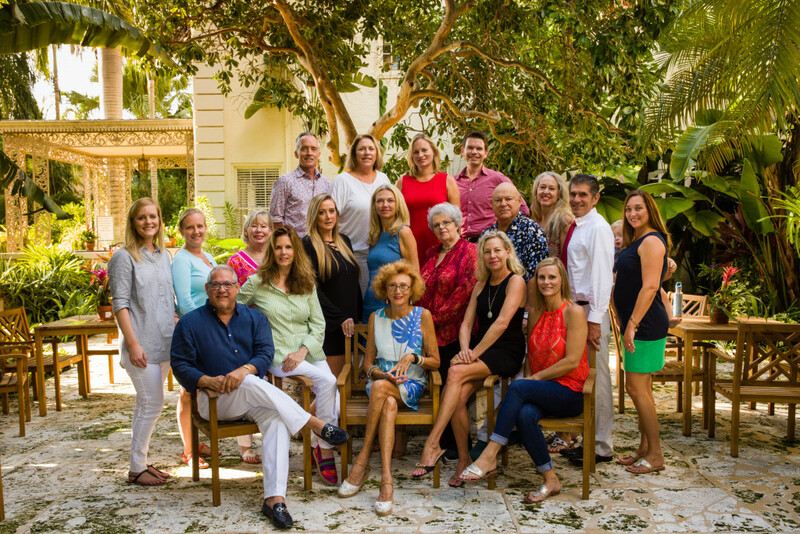 Inside the gallery of the Norton home is an exhibition of contemporary photos, celeb and otherwise, curated with his usual good taste and fine eye by Holden Luntz of the eponymous gallery. Each room focuses on seminal moment in design history. You can have lunch catered by EmKo and the festival includes a variety of daily programs presented by the Bak Middle School of the Arts and Palm Beach Atlantic University. For more information visit the gardens’ website www.ansg.org. The festival runs through Dec. 14. Quiet Moment (2012), by Zhao Kailin. Two of the most outstanding pieces at the Palm Beach Jewelry, Antiques and Design Show, which closed Monday night at the Palm Beach County Convention Center, could not have been more different or more enthralling. 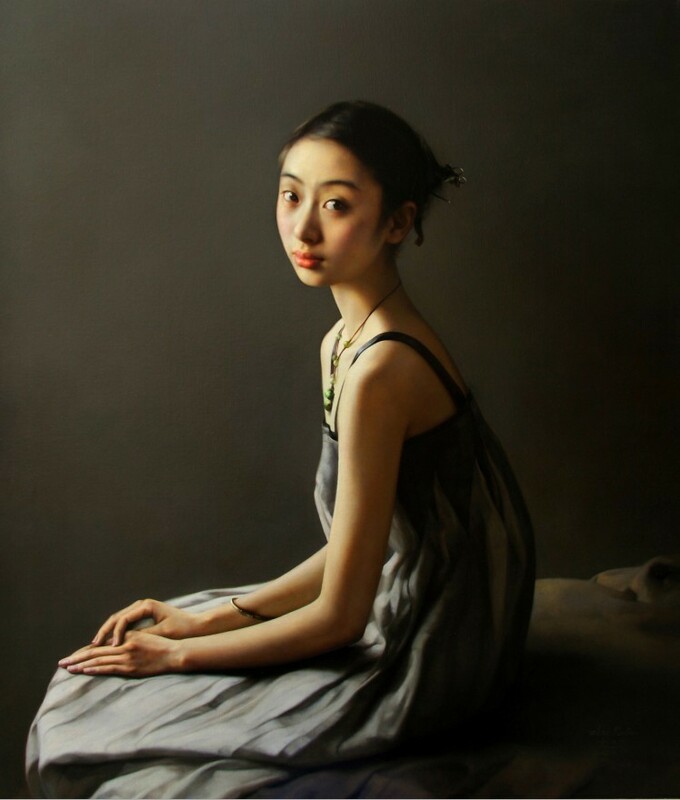 A series of exquisite paintings by Zhao Kailin, presented by Colm Rowan of Philadelphia, were beyond hyperrealism, taking the genre into a new realm: the illumination of the inner world of the female subjects by this masterful Chinese-born artist who now makes his home in California. Rowan is the artist’s sincere advocate. These paintings are haunting; the eyes of its pearlescent young women shine into your own, questioning not only craft and technique and the essential questions of painting, but even of representations of reality. I overheard one visitor talking about their resemblance to photography, but this is another dimension entirely. 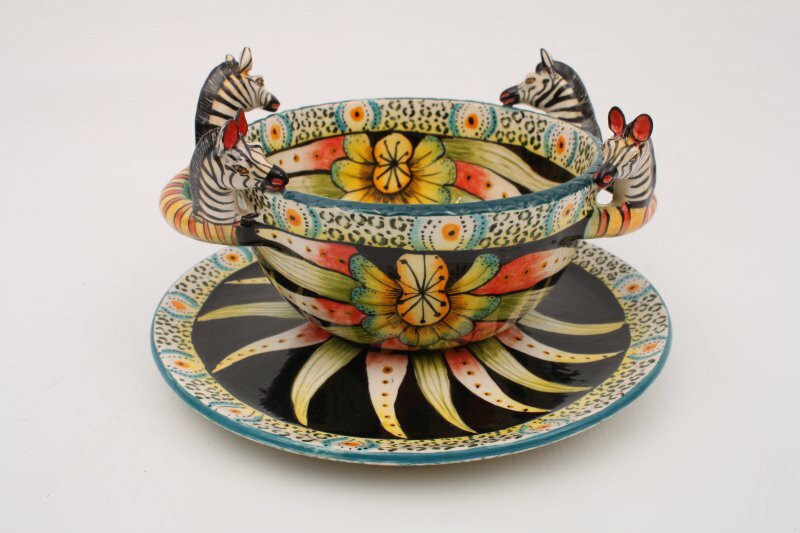 Zebra Bowl, by Ardmore Pottery. The same was true of the ceramics birthed at a rural farm in Kuazulu Natal, in South Africa, under the tutelage of ceramic artist Fée Halstead. They were presented under the Ardmore Pottery brand by the Pascoe and Company Gallery of North Miami, according to Tom Munro. These are stunning in color and complexity; reality and myth commingle. Hand thrown by the women of the community and hand-painted in traditional Zulu celebratory colors, each is unique. The figures of the traditional nguni horned cattle — a symbol of wealth — leopards, monkeys, dancing humans are hand-carved, and so the fantastic and detailed certainty collide in an astonishing tour de force. The show itself was largely a presentation of blindingly bright fine jewelry by such names as Provident, Yvel, Rehs Diamonds, Kokx Investments, Maharaja Jewels and Danny Eliav. The turnout on the premiere champagne night was surprisingly light and the show itself seemed small, but cozy in comparison to earlier years. My guess is the competition from Art Basel’s Miami Beach edition, which opened the same night, has drawn many of the heavy art and antique hitters.